Good evening. I am a firm believer of admitting when I am wrong, so I am here to fess up. Back in September or October I made my first appearance in front of the City Council to complain about Columbia Park and how a vast portion of it had been shut down (since May of 2013) only to be reopened with signs all over the fields suggesting that the fields were now closed unless you had a permit, with a phone number to call to inquire about getting a permit. My complaint was that as a Torrance resident I now had to “Pay to Play” in a city park. It turns out I was wrong. I cannot pay to play in the park. The permits that the sign said I needed are not available. 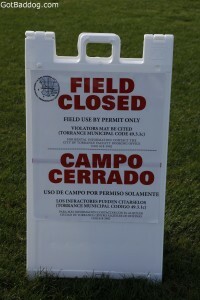 The fields are not available to anyone except AYSO. I am here to propose that we rename Columbia Park, AYSO Park. We should also just give them the land and let the multimillion dollar business known as AYSO pay to maintain the property themselves. At least this would eliminate any confusion a Torrance resident might have that this is their park, because it hasn’t been our park for close to a year now. It is criminal for the residents of Torrance to be forced to waste tens of thousands of dollars every month, and hundreds of man-hours maintaining a property that we cannot even use. When I called the parks department I was told that if I wanted to kick a ball around with my grandson I was more than welcome to use the small area on the southeast corner of the park, by the cherry blossom trees. The fact that this now puts us in close proximity to the busy traffic found at 190th & Madronna is my problem. What is just as irritating is that since my first appearance here the park has gotten WORSE! Chain link fences and barricades are now up all over the park. Not only is this an eyesore but it is a safety hazard to which the City would likely be found liable. The park looks like a scene from Tiananmen Square or Cairo’s Tahir Square during their revolt of 2011. We have spent hundreds of thousands of dollars on this park using our tax dollars and we are essentially locked out of our own park. If AYSO wants it, let them pay for it! There is NO REASON to save the park for the few that belong to AYSO. There are a lot more kids and adults that would benefit from the park instead of reserving its use to just a few privileged kids. For the record, I have nothing against AYSO; I was a coach for several years when my son was little. Additionally, while I have had mayoral and city council candidates tell me “the park should be open to those who pay for it” I have had others comment along the lines of “we are hoping the AYSO event in June brings in monies to pay for the renovations” none of them seem to want to speak publicly about it. For those of you that are thinking, “that can’t be right, I saw soccer teams playing this past weekend” be advised, “due to contractual obligations” the city had to let a few games be played. Toyota Motor Sales U.S.A. was kind enough to donate $500,000 to the City of Torrance so that the new “sports complex” at 555 Maple could be called Toyota Sports Complex. I think that is great and is saving Torrance residents from another terrible investment. 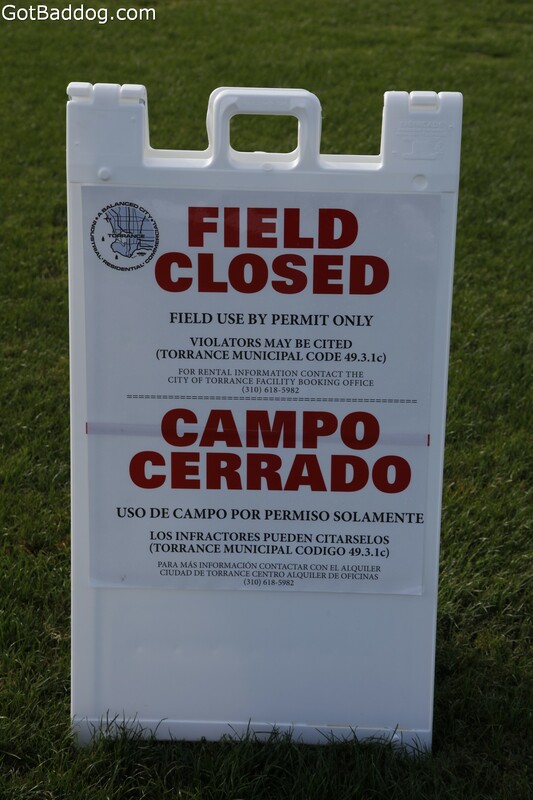 AYSO gives NOTHING to Torrance, they take, take and take some more. I say it is time to stop throwing good money after bad; just give them the park and let them pay us to maintain it. We may have lost a park, but we do not get to use it anyway.